At the end of every one of his safaris, Musti has tales upon tales to share with those of us who don’t often make it to the field. Sometimes, his safari tales make me go green with envy, and other times they tickle me and I laugh heartily… but many are the times I secretly wish I could just tag along. Whichever way, his tales always leave me exhilarated and longing for his next safari and his return with tales. 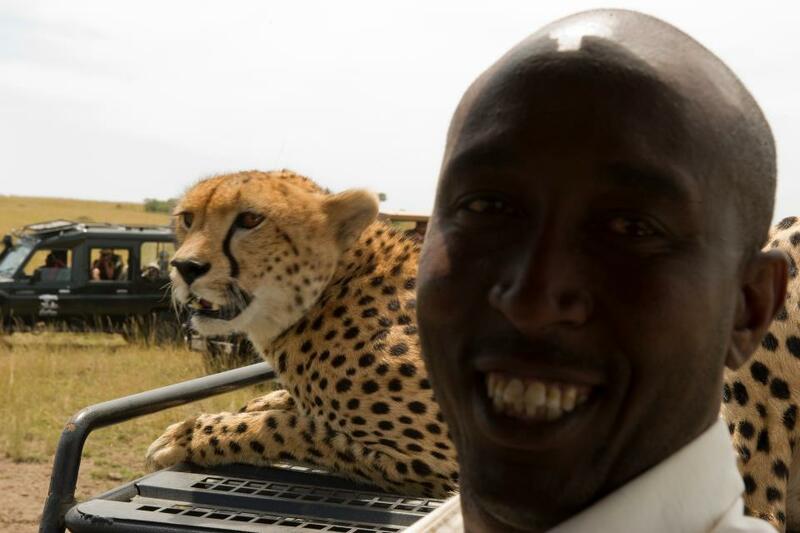 Musti, short for Mustafa, is our head safari guide here at African Horizons. An extraordinarily knowledgeable and enthusiastic tour guide with a warm and an outgoing personality; there is never a dull moment with him for he always has a way of making every safari specially interesting. His 20 years of experience in safari guiding is well elaborated by the professional way he goes about his business and his passion for the wilderness. A lover of flora and fauna and a responsible conservationist, Musti is an avid member of ‘Nature Kenya’ – Africa’s oldest environmental Society. His all time darling wildlife sanctuary is the Masai Mara and his favourite animal is the elephant – an animal so elegant and majestic, he says. He also has a hushed admiration for the ‘Big Cats’. Away from guiding safaris, Mustafa likes to travel to somewhere quiet, just to unwind and loose himself to nature. Sometimes, he also enjoys watching and playing football (soccer) with his local friends n his free time.